During Pedro’s battle with cancer I often felt clueless. For example, I didn’t know that hospitals made arrangements for air ambulances. I didn’t know that the Leukemia and Lymphoma Society gave grants to help family members travel. The one cancer caregiving resource that I knew about (Ronald McDonald House) didn’t help out families of adults with cancer, so I figured we were on our own. I didn’t realize that massage, aromatherapy, and essential oils could benefit my husband (and ME, a stressed-out caregiver). Caring Bridge? Never heard of it. I do know that I often felt underwater and on the brink of overwhelm. Maybe you’ve acted as a caregiver for years, or maybe just a season. Maybe you enjoy researching things, or maybe you just feel a desperate need to figure something out. Whatever the case, we can learn from each other. This week’s link up is specifically for blog posts or pages that have useful resources for caregivers. A ‘useful resource’ would be a post about how you found help from a helping organizaiton or agency (such as the Leukemia and Lymphoma Society). It might include lists of local resources, hotlines, blogs you’ve discovered, or advice. If your caregiving journey has included active patricipation in support groups, share your experience with us! In order to make this link up user friendly AND pertinent to caregivers and their needs, please make sure that what you link up follows the guidelines for the week. 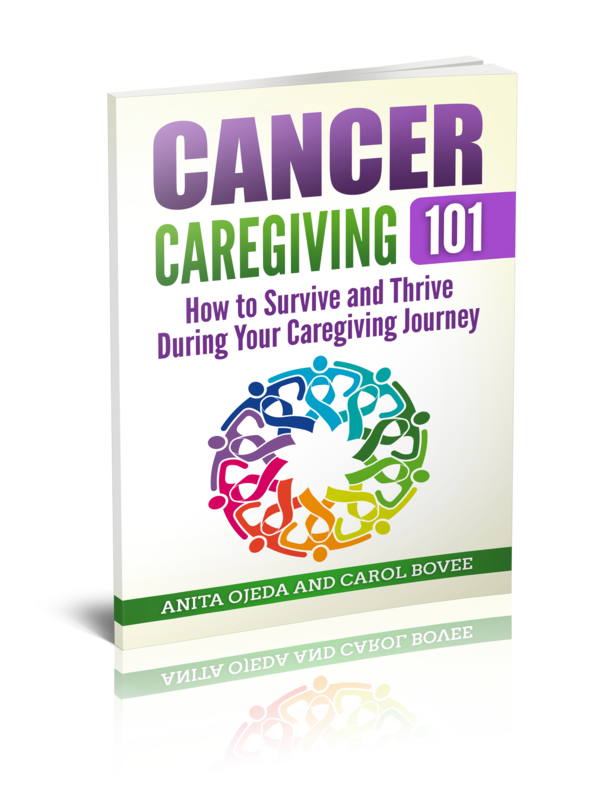 This week is for RESOURCES FOR CAREGIVERS (if your resource has a story wrapped around it, that’s fine). If you aren’t sure if your link is appropriate, feel free to email me at anita at blessedbutstressed dot com and ask!